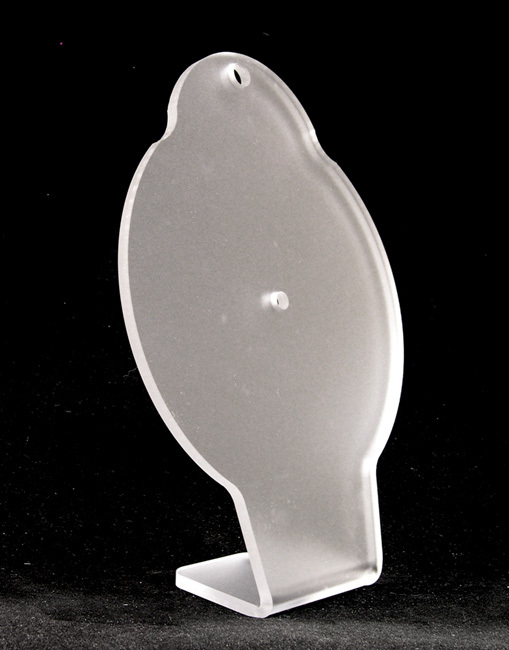 Frosted Acrylic Clock Stands are ready for your craft magic and are pre-drilled for your clock mechanism. Pre-drilled for 7/16" (11mm) diameter clock shafts. 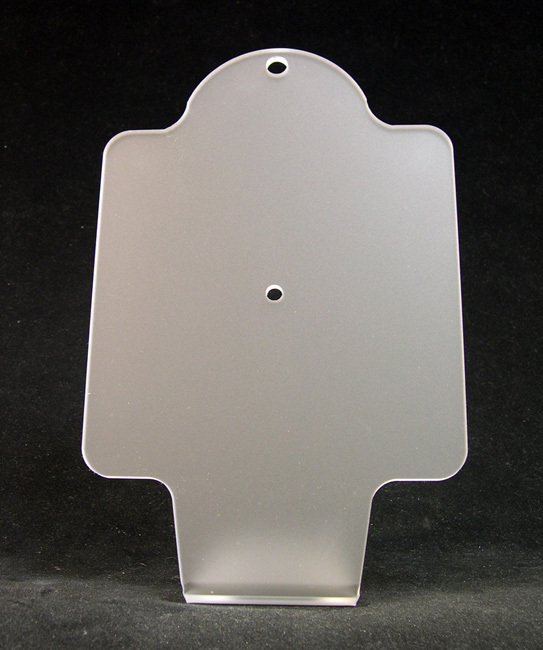 IMPORTANT: Stands are 7/32" thick so your clock movement must have a threaded hand shaft at least 5/16"L.
Also available with quartz-accurate clock movement with hands. See below. Stands can be decorated with paint, decals, self-stick numerals or whatever you can imagine to make them true originals. 9-1/2"H x 7-1/8"W x 7/32" Thick. Stand is 3"D at the base. 10-7/8"H x 7-1/8"W x 7/32" Thick. Stand is 3"D at the base. 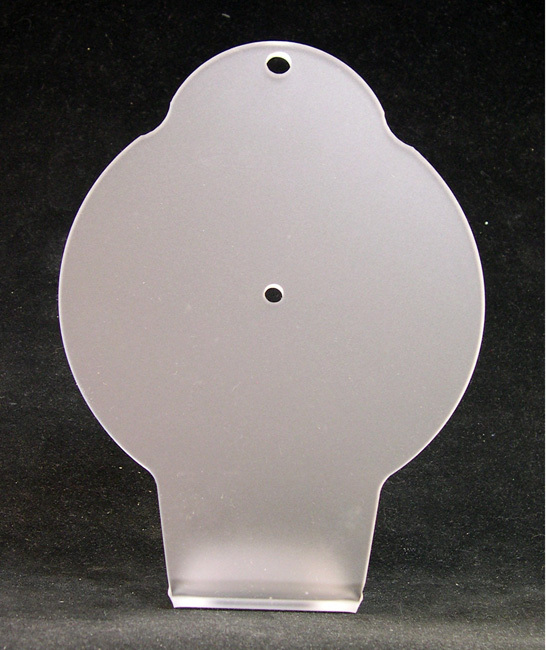 Side View of Round Design Clock Stand. 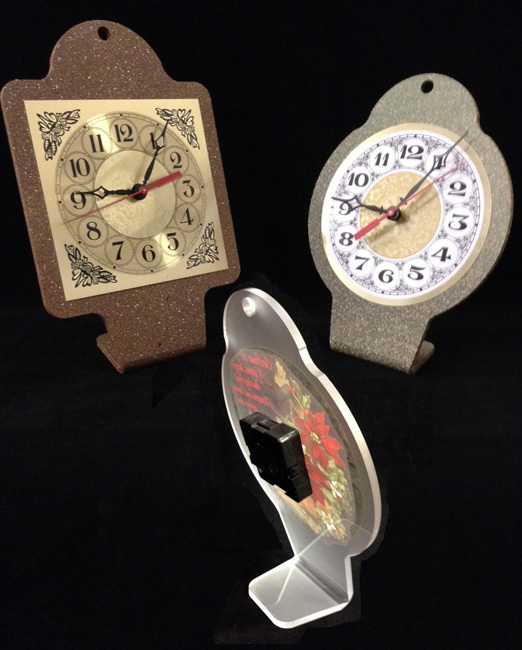 Examples of decorated Acrylic Clock Sands. 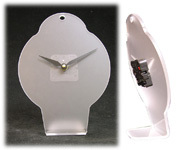 Click Links below to view/buy Clock Movements. C) Round Acrylic Clock Stand with Quartz-Accurate Clock Movement that uses 1 AA-size battery (not included). Movement includes satin black modern hands, mounting hardware and illustrated instructions. 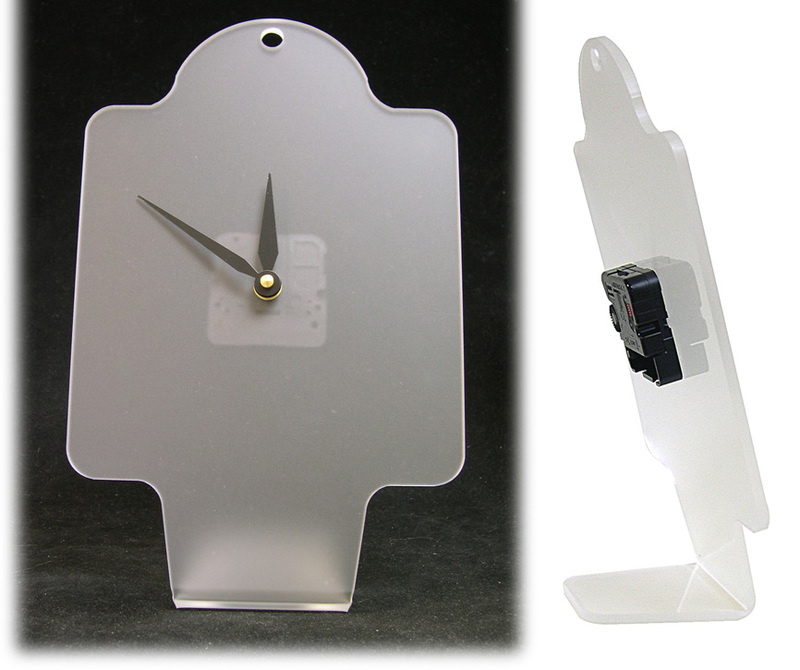 D) Rectangular Acrylic Clock Stand with Quartz-Accurate Clock Movement that uses 1 AA-size battery (not included). Movement includes satin black modern hands, mounting hardware and illustrated instructions. 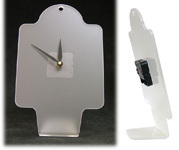 (C) Round Acrylic Clock Stand with Clock Movement and Hands.